Come celebrate our 4th annual, with three great bands playing at The Oast! 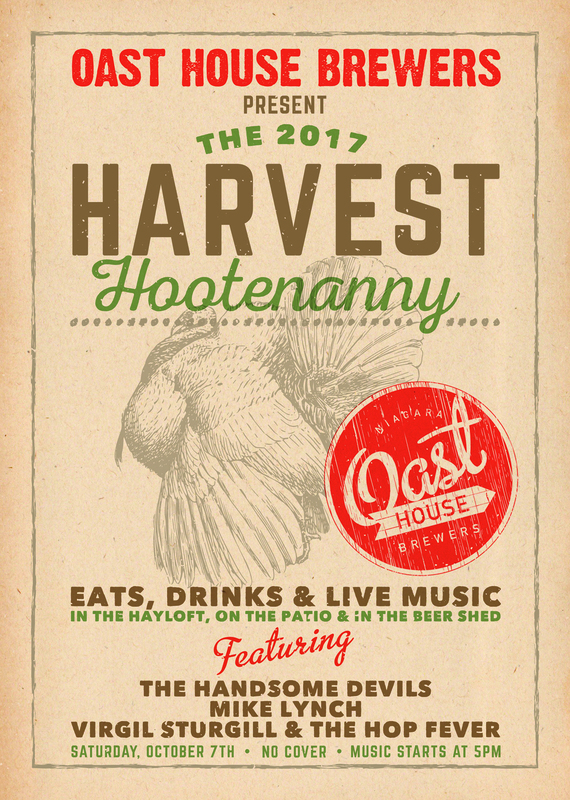 Swing by this Saturday, October 7th for our 4th Annual HARVEST HOOTENANNY!! Starting at 5pm, help us celebrate the 2017 harvest with music in all three areas of the brewery, great seasonal brews & a delicious menu from The Tide and Vine Oyster Company.